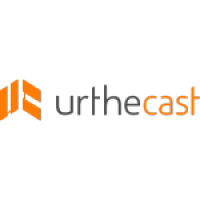 UrtheCast Corp. is a publically traded Vancouver-based technology company that serves the rapidly evolving geospatial and geoanalytics markets with a wide range of information-rich products and services. It operates Earth Observation (EO) sensors in space, including two satellites, Deimos-1 and Deimos-2, to produce imagery data that is displayed on UrtheCast's cloud-based web platform and sold to partners and customers. Inspired Kitchens. Built and delivered by exceptionally inspired people. Kitchen Art Design Builds Kitchens that Form the Heart of the Home. Kitchen Art Design enhances your home experience through the art of personalized cabinetry. They are committed to bringing the perfect balance of high-quality products, striking aesthetic, and effortless function for cabinets that fit seamlessly into your lifestyle. NOVUS Glass offers you uncompromising quality and value of NOVUS products in addition to being serviced by “The Windshield Repair Experts”. Skidmore Capital invests in retail, distribution and service businesses with a strong potential for accelerated growth. A diversified holding company with over 70-years experience in entrepreneurship, we place a premium on relationships. We are interested in partnering with entrepreneurs and management teams that act with integrity and share our values. ReFresh Financial gives you financial freedom to live a good life. Our goal is to help Canadians take control of their finances. We do that by providing programs that guide people through building credit safely, which is key to financial freedom. Apollo Sign and Millwork brings your brand to life. We work with a tenacious spirit and far-reaching objective: to become the Lower Mainland’s pre-eminent millwork supplier. Our team continues to grow as we meet our clients’ needs and add value to the communities in which we serve. 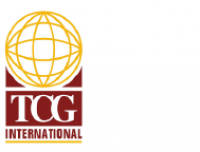 TCG International has been a global glass business for over 70 years. Your local auto, home and residential glass experts. As an industry leader, Speedy Glass provides superior automotive, residential and commercial glass replacement and repair services. We believe in supporting and giving back to the surrounding communities that helped us grow. Making auto glass repair and replacement claims easy. The TAG Network processes auto glass repair and replacement claims from insurers across the United States. We set the industry standard in cost efficiency and customer service. Shiny and clean 24-hour car care. Splashes Auto Spa is a touchless car wash based in Alaska. Your car will be prepared to face the harshest weather conditions, looking as good as new again. Canadian-owned, franchise-based company founded in 1983. Our 26 shops provide windshield installations and repairs, with your satisfaction guaranteed by a national warranty good for the life of your vehicle. Leading Canadian supplier of automobile glass and aftermarket accessories. Auto Stock Distribution distributes automotive replacement glass, aftermarket automotive and truck accessories as well as warehouse and delivery systems. The company sells its products through customer service representatives and online. Based in Burnaby, Canada, Auto Stock Distribution has centres in Concord, Canada; Kent, Washington; and St. Louis, Missouri. Mobile phone retail distribution in Canada, USA, Australia and the Philippines. GLENTEL deals primarily as a retailer of mobile phone services in Canada. The company operates over 400 wireless outlets operating under the Tbooth Wireless and WirelessWave brands, particularly in mall kiosks. GLENTEL services Bell Mobility, Rogers Wireless, Fido, Virgin Mobile and SaskTel. Cellphone and pager manufacturer turned distributor. Cantel service centre in British Columbia. The Speedy CelTel group sold the first mobile phone in Western Canada. The company grew to 35 retail locations and acquired Glenayre Technologies. Providing auto, residential and commercial glass solutions for 75 years. The Speedy Glass philosophy is to repair rather than replace. Where situation permits, a minor problem can be quickly fixed and your windshield’s integrity will be completely restored. This preventative, low-cost service gives your glass its original appearance and protection. A North American distribution leader. Uni-Select Canada is a leader in the distribution of automotive parts, tools and equipment to the aftermarket.